Take back control of the brexit negotiations. Take back control from the establishment. Take back control of our own lives. WHAT IS TAKE BACK CONTROL? 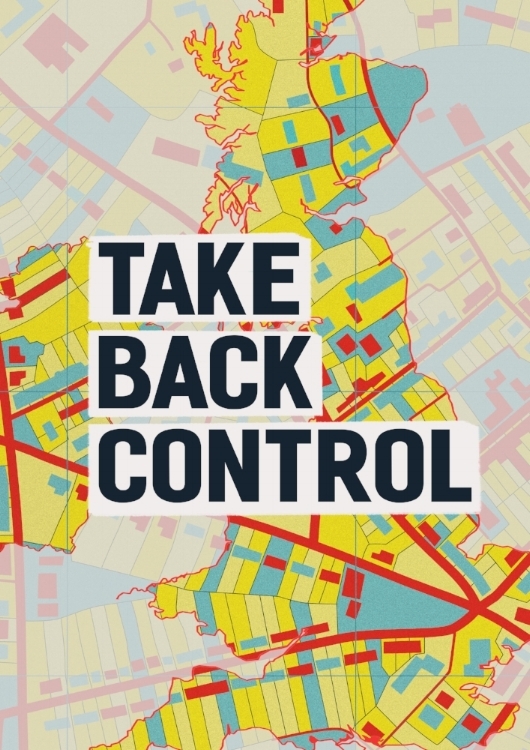 Take Back Control is a series of events about the future of our country. They will bring together leave and remain voters, make sense of Brexit and discuss the change we want to see in our communities. From Brexit to the election of Donald Trump, we have witnessed a revolt against politics as usual. People are sick and tired of having no control over the big decisions that affect their lives. Yet Trump (a multi-billionaire) and his ally Farage (an ex-stockbroker) have lied to us. They have tapped into legitimate frustration at a broken system and directed it against migrants and the marginalised, while the problems most of us face remain unresolved. Theresa May needs to open the negotiations, but if we’re really going to take back control we urgently need to ask the questions all-too-often ignored: How do we build a housing system that works for everyone and not just landlords? How do we get tax avoiders to pay their fair share? How do we stop zero-hours employer exploiting those simply trying to earn a living? How do we create an affordable energy system where people don’t have to go into debt just to heat their home? The questions are endless, and it’s time to demand some real, meaningful solutions. But we don’t want politicians to do everything for us. Real control starts in the community with ordinary people taking action. It’s time those outside of Westminster are heard. We’re in a moment where change is inevitable. The future of our country is up for grabs. Now is the time to move beyond the Leave/Remain divide and act together. Now is the time to really take back control. Take Back Control is organised by local activists who care about their communities. They're supported nationally by 'The World Transformed', a collective who run political events. Learn more about The World Transformed here.